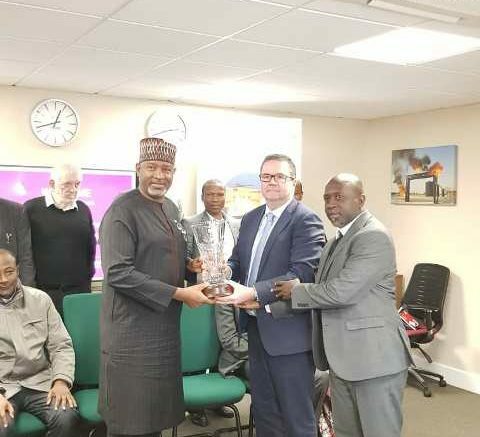 As Nigeria prepares to take delivery of an automatic aircraft firefighting simulator worth about N5 billion, the equipment manufacturers, Messrs Alpine Metal Technology Company, UK has carried out the factory acceptance and pre-shipment inspection and test of the simulator in the presence of top Nigerian functionaries, including the Minister of State, Aviation, Hadi Sirika. The simulator, which is the first of its kind in Africa, is a modern- multi scenario firefighting simulator capable of delivering training for different types of operational incidents involving aircraft in the aerodrome and its vicinity. 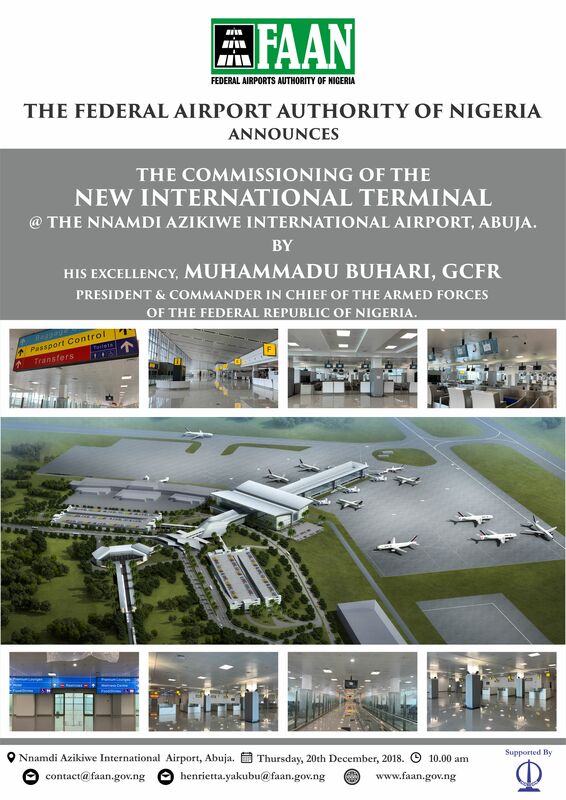 FAAN added that it is in fulfillment of the Nigeria Civil Aviation Authority (NCAA) requirement for training of firefighters in the airports and will, overall, enhance competence and proficiency in achieving the primary objective of saving lives in the event of a fire incident. 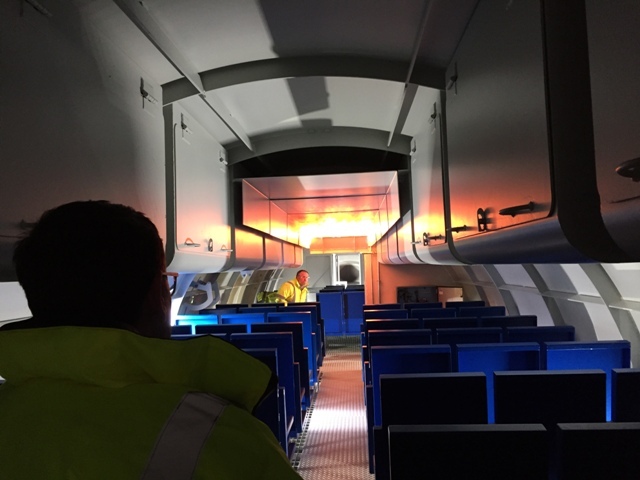 The pre-shipment test, which took place in the United Kingdom earlier today, showcased the full complements of about 28 possible fire/non fire scenarios carried out including; cabin fire simulation, cabin smoke, lavatory smoke and the likes. Other simulation tests include Turbo prop engine, undercarriage, fuselage side as well as corresponding components of single aisle multiple engine jet aircraft, fuel spill burn pit, internal fires among the vast arrays of simulations it can do. 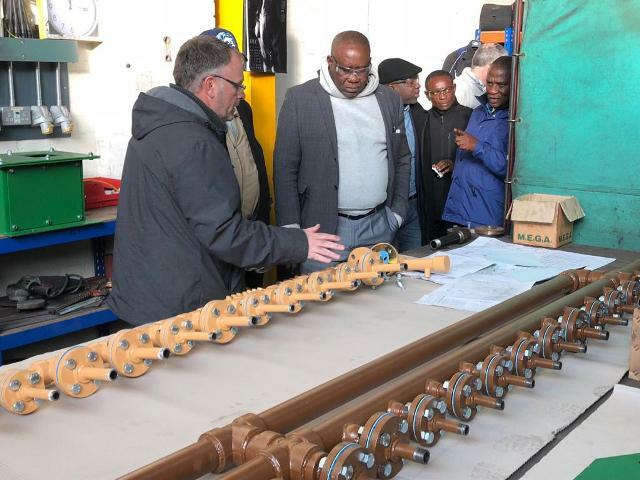 Minister of State, Aviation, Senator Hadi Sirika, who spoke SHORTLY after inspecting the equipment and the company facility with some government functionaries said the simulator was costing the nation about N5 billion and is a safety equipment that is key for airport operations. * General Manager, Aerodrome Rescue Fire Fighting Services, John Ekpe (3rd L) during the inspection exercise. According to him, “The focus of the Buhari-led administration on civil aviation is safety and security, this is therefore a component of it. We take matters of safety and security very seriously. Before now, we train our firefighters in Cameroon and I found myself approving several hundred thousands of dollars for training in Cameroon and I said this is not it. I applied and got approval to procure this firefighting simulator and Mr President graciously approved it. 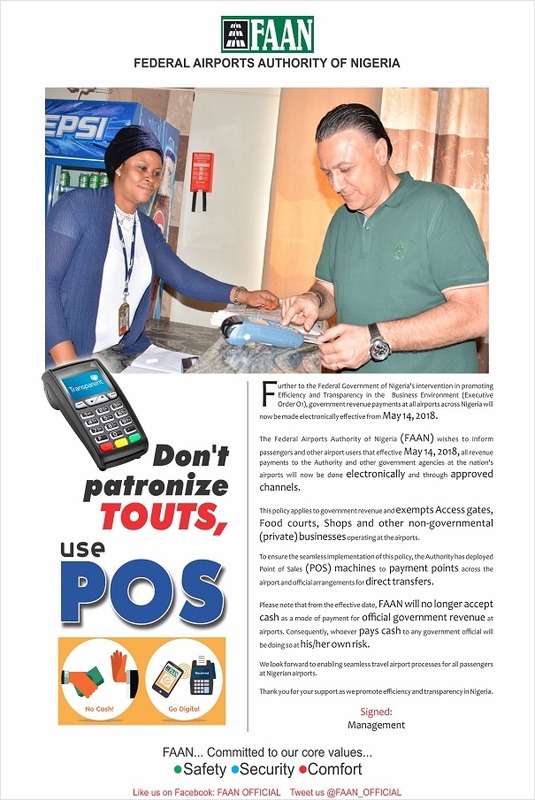 It will cost the nation about N5 billion and we started it and now it is completed and it’s ready for testing. It has been tested in front of us and you have seen it, it’s in perfect working order and condition and we will install it at the Nigeria College of Aviation Technology, Zaria (NCAT). The Minister expressed pride that once installed the country will be a hub for comprehensive fire trainings from ab initio training, recurrency training to full training and so on. Also speaking, Managing Director of Glovesly Pro-Project Limited Representatives of Messrs Alpine Metal Tech. Company in Africa, Mr. Yasir Tijani Abdullahi who spoke at the United Kingdom event explained that the simulator is set to be delivered by the end of the month as everything is almost set for the installation in NCAT, Zaria. On the benefits to the country, Mr. Abdullahi explained that it will improve safety and save Nigeria foreign exchange. 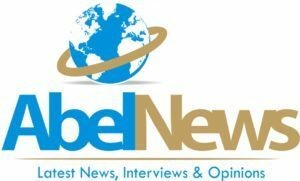 “The country is set to change the status quo with regards training and retraining of fire fighting personnel as it used to regularly train in Cameroon, which has contributed in no small measures to capital flight, which this acquisition will finally nip. We will not only save capital from leaving the country but will generate capital for Nigeria, It will therefore be a money spinner. On some of the redundancies of the simulator, Yasir said apart from its deadman’s switch, the system checks itself automatically and if there is a challenge, like a gas leak, it shuts itself down and lets you know,” Abdullahi explained. Be the first to comment on "Ahead Of Delivery: UK Coy Tests N5B Automatic Aircraft Firefighter Simulator"